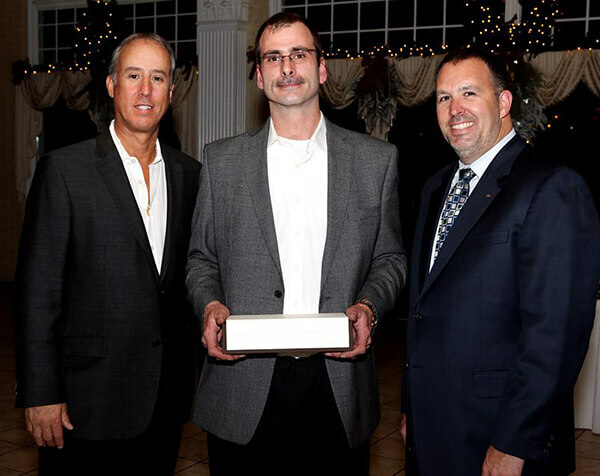 Employee Appreciation Party Recognizes Employee for 25 Years of Dedicated Service to Manafort - Manafort Brothers Inc.
At the Annual Employee Appreciation Party, Rich Gagnon was recognized for 25 years of dedicated service to Manafort Brothers Incorporated. Also pictured are Jim and Justin Manafort. David Manafort was also recognized, that evening for his 25 years of service as well.